Tony Spencer is still happily married to Barbara after over 37 years, with two boys and grandfather to two little angels. For over 40 years he was a printer, typesetter and proofreader. He is currently occupied with major trunk road and motorway maintenance. Was also a sports programme editor and local newspaper sports writer for almost 20 years. He is now concentrating on fiction, novels, novellas, short stories and flash fiction, mostly lightly romantic stories involving twists and humour. He started self-publishing in December 2012 and has produced three novels, nine novellas and eight short stories or collections of short stories on Smashwords to date. His latest novel is available on Amazon. 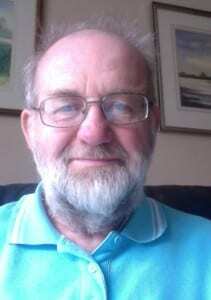 He has also supplied 15 or so stories to short-fiction.co.uk and 40 drabbles to drablr.com. He has lived in Yateley, Hampshire, about 35 miles west of London, for over 30 years. Currently putting together a select anthology of 15 short stories, followed by a romantic novella, ”Jake and Gill” and is halfway through writing his fourth novel, “Aunt Marina”. I feel a compulsion to tell stories. I regard it as a socially acceptable way of telling bare-faced lies without turning beetroot red. So far I have published 20 books, adding up to 26 stories, plus 15 separate short stories and 40 drabbles (flash fiction of exactly 100 words). I am inspired by observing people in everyday situations and speculating on their stories, or mundane incidents like the antics of my SatNav, or things that people say. Almost anything can provide a spark. I have another 20 stories sketched out ready to get to when my next project ends. I usually start to write at the beginning of the story and carry on through to the end. Then I might shuffle things around to get a more dramatic start and then feed the back story in gradually, usually through dialogue. With my novels, though, I usually start at the beginning and leave markers where there are passages I feel I can’t cover yet or want to fast forward to an area that I want to write next. When I look back later I often can see the reason for skating on quickly, because the story needed moving on quickly at that point. All the time, I can’t help it. Sometimes I follow them; sometimes I put my foot down. Honestly, sometimes I think, I’m not the one making this stuff up, I’m simply my characters’ stenographer. Write what interests, thrills or entertains you. You are your main customer. By all means consider the subject and is marketability before you start, but once you are writing it is all about the story and the characters. The readers can be catered to after the writing is finished, not during. I never intended to publish at the outset. I realized early on that what I write is not mainstream and I didn’t even waste my time trying to get my work published. I wrote for my own amusement; not even my family were prepared to hear another word. To them this was just my hobby. I often only wrote the story up to the point where I had worked out the ending in my head. Then I would abandon that and start the next one. I never even kept them. There was no point. Someone at work asked what I was writing and they asked to have a look. Soon I had a small following keen to read my stories, which meant I have to finish and polish them. They encouraged me to self-publish. Books will always be wanted. As a printer, who has also studied hand bookbinding, I love the feel and smell of a book. I believe there will be an elitist desire for books, hopefully for centuries to come. I write about family relationships, romance, boy meets girl. You could call them romances, family dramas, but at the end of the day it all boils down to love. I have dabbled with sci-fi and historical romance, fantasy and humour.